I think the secret to “race” is to get to know individuals. Everyone is different and the same. 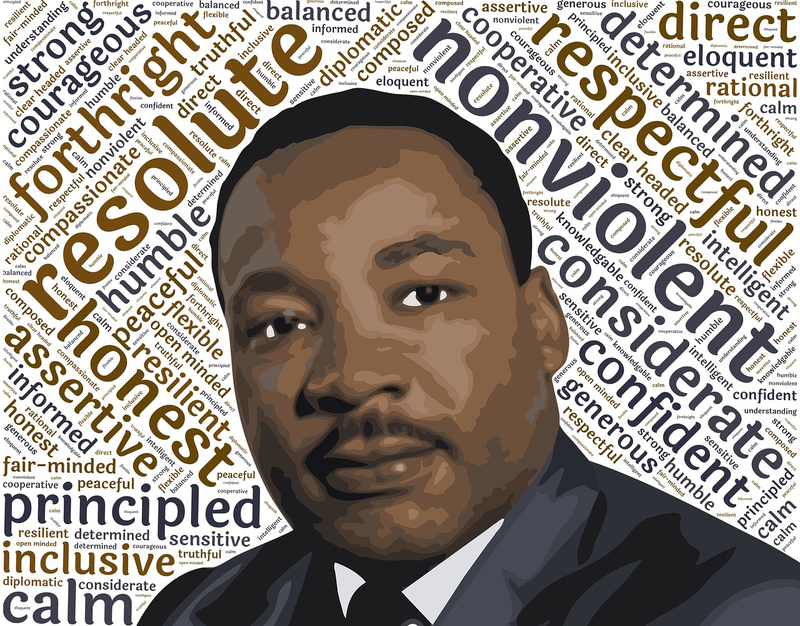 In honor of Dr. Martin Luther King, Jr.’s birthday, I intend to sort some things out, and I certainly don’t mean to offend anyone, no matter your race or color. Bear with me, okay? I don’t know anything about being black, African-American, or even “colored” in our society. I have met some wonderful people who were black. We’ve celebrated together, mourned together, worked and learned together, but I have never shared their particular pain, fear, or mistrust. I do understand pain, fear, and mistrust, but it is regular, like losing a husband, suffering from cancer when “I am too busy to die right now,” or my boss thinking I can’t be trusted. Anyone can and do face those crises and make it through. It seems to me a special trauma, the agony of being ignored, feared, punished, and laughed at –as part of a group–and as an individual–by the mainstream, majority of people, for nothing more serious than a little pigment, is more than I can stand. I have tried to get it, I really have. I have read “Black Like Me,” Alice Walker poems, Langston Hughes poems, and I was sincerely moved by “Roots.” It is not enough, I know, but I at least admit to my ignorance. I have even gone the route of announcing that I don’t see race, but feel kinship with the whole human race, like the ones who think God is in the leaves and oceans, “We are all One” stuff. There is no scientific basis for “race,” and it is a social construct without a biological meaning; we are all one species, like Chihuahuas and Great Danes, mostly mutts. There may be a preference, but it has to do with temperament, agility, size, or longevity, not skin color, facial features, or a perceived propensity to violence or sexual misconduct. I see color. So do you. Imagine a man in a truck leaving the scene of an accident with injury. Tell the police it was a man in a truck. Is he a red man in black truck, white man in red truck, black man in black truck? It’s important. I do not assume that it was a drug-addled black man in a stolen truck who was trying to murder an innocent, but I will notice that the man was darker than me or lighter than me. My grandchildren helped me to become more aware of others. My son, Jack, has a 14-year-old step-son, who is “of mixed race.” I have no idea what the mix is, but he has pecan-nut-colored skin, dark brown, soft, curly hair and the greenest eyes you ever saw. He is also helpful, kind, loving, athletic, studious—a spectacular kid. I am proud to have such a sweet, loving person in my family. For the last few birthdays, I have sent him books about or by brilliant men who struggled with “race identity,” like Barack Obama, “Once Upon a Time When We Were Colored,” and Martin Luther King. I figured that, eventually, he is going to have some issues with being raised by “white” people. Maybe not, but I wanted to let him hear from some wonderful writers. I also never buy him “hoodies,” as I am fearful for his safety in a way my other grandchildren are not threatened. I also loved Charlie Stephens. His family is loving, strong, and accomplished. So was he. He reminded me so much of my dad that his passing has made me long for my dad again.